While a regular vacuuming of your upholstery keep’s it looking fresh and clean, sometimes the fabric can get dull and lifeless. 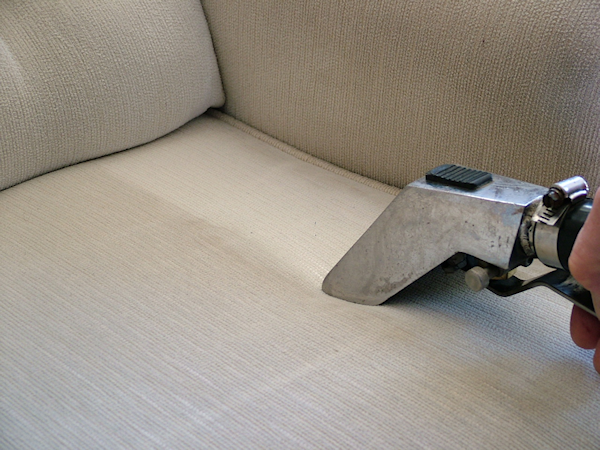 Soiling can accumulate rather quickly on upholstery through use. It’s transferred to the fabric from clothing, body perspiration and items placed on it, such as newspaper, food and drinks. Dust also settles on upholstery, along with airborne soils containing cooking fats or cigarette smoke. Many of these soils are tacky and will hold the dust to the fabric. In fact, the closer your upholstery is to the kitchen, the tackier the dust becomes and thus more harmful to the fabric. Combine that with the exposure of pet dander, dust mite accumulation and everyday use, consumer groups therefore recommend cleaning your upholstery at least every 12-24 months. If cleaning is postponed any length of time, fabric and colors can begin to dull, and the original appearance becomes more difficult to restore, shortening the life of the upholstery considerably. If you want your furniture to gleam like new, leave the deep cleaning to us – your upholstery cleaning expertise provides exceptional upholstery cleaning in Bothell and the greater Seattle area. 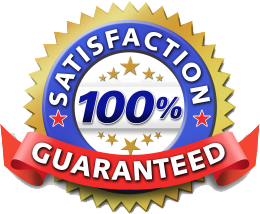 Our upholstery cleaning process is held to the same strict quality standards as our carpet cleaning. Before we begin, we give your upholstery a thorough inspection to determine the best course of action, noting material composition and any areas of concern. Step 1: Pre-Inspection. We will determine the content of your fabric to determine what safe type of cleaning techniques and solutions to use. In addition, we will point out any potential permanent stains or areas of concerns. Step 2 : Pre-Vacuum. This step will remove dry soils and any loose particles from cracks and crevices. Step 3 : Pre-Treat. We apply a safe but effective fine fabric pre-spray to loosen soil and release any body oils or stains that may have solidified on the fabric. Step 4: Pre-Spot. Difficult spots are pre-treated with special solution to increase chances of removal. Step 5 : Pre-Groom. We gently agitate your upholstery with a specialty designed soft furniture brush to help the cleaning agent perform better loosening the oils, dirt and stains. Step 6: Soil Extraction/Neutralize. Utilizing our hot water extraction system with a specially formulated neutralizing fiber rinse to extract dirt and contaminants from your upholstery leaving a soft and clean looking upholstery. Step 7: Post STAIN Removal. Most spots are removed with our standard pre-conditioner and rinse. Any stains still remaining will get extra treatment with our specialty stains solutions as needed. Step 8: Post Groom. The upholstery will then be prepared for drying with a gentle combing of the fabric for a proper finishing touch. To maintain that bright, fresh, “just cleaned” appearance and to help protect from future stains and dirt, we recommend application of a fabric protectant. This is a Scotchgard®-type product that resists dirt and spills, making it easier for you to clean and maintain between professional cleanings. We particularly recommend this for dining room chairs and any furniture that’s regularly used by kids or pets. Breathe new life into your furniture and let Preferred Carpet Cleaning take care of your Carpet & Upholstery cleaning needs all of our service comes with our 100% guarantee! We are here to offer our services without any delay. Our superior upholstery cleaning service will give you great value for your money and you are guaranteed to be satisfied after we complete our services with you. Contact Preferred Carpet Care today at to schedule an appointment. You will be happy that you chose us. We are a small company, and we plan on staying that way. Staying small makes it where we never have to compromise on the quality of our work and the friendliness of our customer service. But for a small owner operated company, we still do cover a lot of ground for our customers. We offer our carpet cleaning services in Auburn, Bellevue, Bothell, Edmonds, Everett, Issaquah, Kirkland, Kenmore, Lake Stevens, Lynnwood, Medina, Mercer Island, Mill Creek, Mountlake Terrace, Mukilteo, Redmond, Renton, Sammamish, Seattle, Shoreline, Snohomish, Woodinville and surrounding areas.